Earthquake Prediction: 6.2R in NORTH KOREA! A 6.2R earthquake was just reported in North Korea! 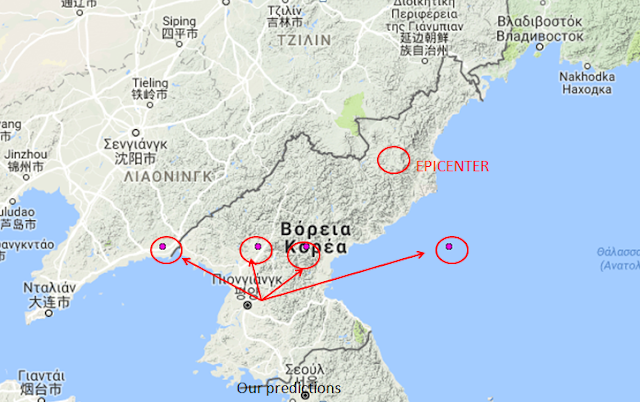 We have no further information but that the epicenter was 29km East of Sungjibaegam. 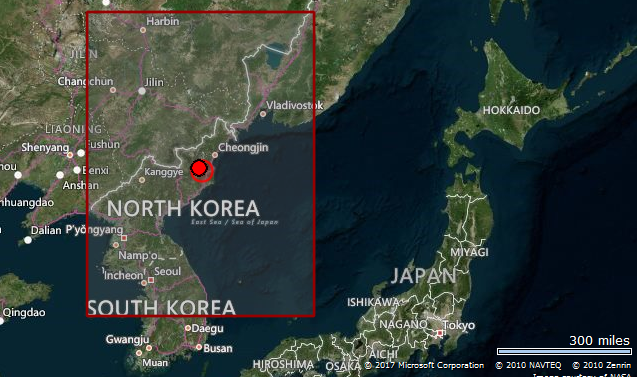 Addition: Below also find our predicted data for possible locations for an earthquake in N Korea. Our data shows some locations further South like in Idaho the error is similar. 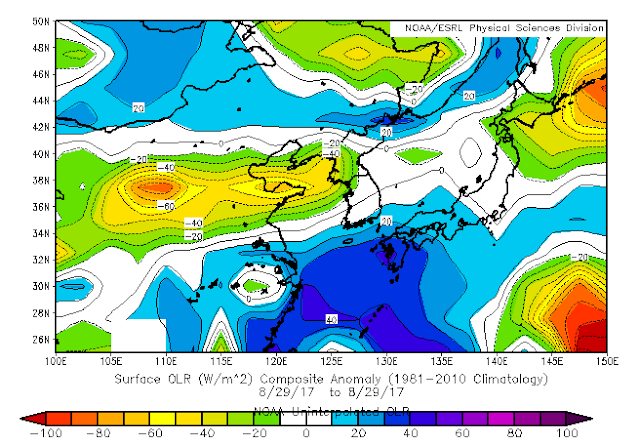 We were expecting an earthquake in China today but this is a borderline event to consider it as a chinese earthquake. Difficult to say.